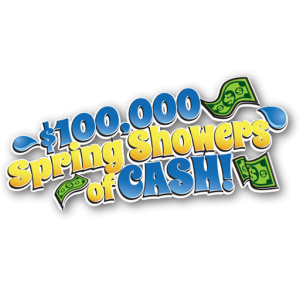 Not your average spring shower, SCA’s $100,000 Spring Showers of Cash™ game brings outdoors in, with chances for your patrons to win up to $100,000! Jam-packed with interactive fun, the game features 20 raindrops for players to choose. If the contestant uncovers 10 petals before 3 lightning strikes, he or she wins the $100K! We will customize the game for your property and it is offered with or without grand prize coverage.